Here is the hanuman stroy I shared in the class I subbed yesterday. My theme was about using muscular energy to help with integreation to help expeirence more confidence on and off the mat. 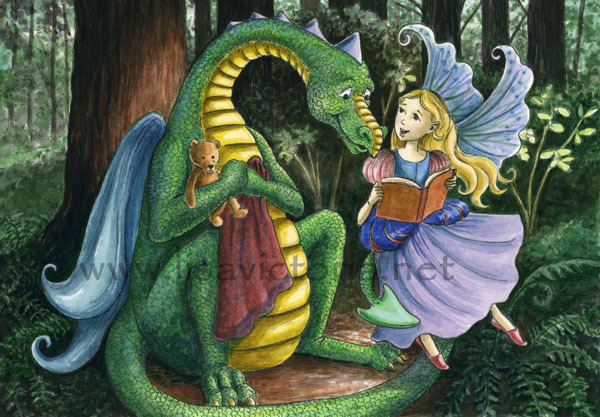 I love this wonderful story and have been finding it very instpirational lately. After Hanuman was given power he started to create a lot of chaos and havoc when he was little so all the gods prayed to Lord Brahma to find a solution. Brahma put a curse on Hanuman to protect the world from his mischief by removing his knowledge of his powers. One of his powers is becoming very big and strong. However the only way this power is available to him is if he or someone else (normally his friend Jambavant) reminds him of his powers. When Hanuman was older and was a dedicated server of Lord Ram he was chasing after the demon Ravana to save Rams beloved Seeta. Hanuman chased Ravana to the edge of a vast ocean and then lost Ravana’s trail. Hanuman was defeated and there is page after page in the Ramayana of hanuman’s thoughts, about how he let down Ram, how he can’t do anything right, his disappointment over himself…. Then his little friend somewhat elbows Hanuman and reminds him of his power, of his past victories, of his strength. 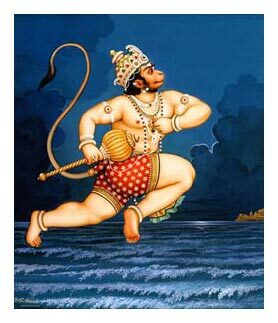 As hanuman remembers he comes into integration and then has the confidence to get big and strong and he leaps over the ocean. (I love this story because even Gods can feel defeated, even gods need to be reminded of their greatness). The main theme I wanted to work with was muscular energy with an emphasis on the midline. The plan was to focus on the midline which so many cultures consider a very sacred space. The midline holds the Hara meridian center channel (Chinese), the sushumna and the seven chakras (Hindu) and the spinal cord and the nervous system (western). By integrating our limbs toward the midline, and integrating muscle to bone we can express our self and our poses with confidence. And by practicing this on the mat, it is easier to stay integrated in our midline and maintian our confidence off the mat. The class was lots of fun. It was my first time teaching these students but I know many of them because we have been students of Adams for awhile. I was nervous about changing my position from fellow student to teacher but it seemed to go really well. They seemed to really enjoy my sense of humor. I used this finishing analogy for inner spiral that was a big hit (that would be another blog). One of my teachers, Dr. Douglas Brooks is always telling wonderful Rajanaka tantra stories. As he tells these stories that are full of teaching and full of different characters he always points out that as a yogi, we are all the characters AND the writer and the readier of the story. I remember when I was little and my parents would tell my stories I would always identify with one of the characters (normally the hero). But Douglas says that we are not just the hero but also the villain, the masculine, the feminine, that we are in fact every character. And we are the writer. Douglas also says the yogi needs to make sure not to get ahead of the story. Because we are all the characters and the writer we need to go through the story and allow it to unfold. If I am reading or writing a book and I am on page 16 but I am thinking about what happens in 3 chapters on page 113, or even what will happen at the end of the book I will miss the learning opportunity and I wont be mindful about what is currently being written which will change the way the story is being written and what will happen on page 113. So with the new year just starting, it is like we are starting another chapter. It is our job to stay present with what is happening word by word, page by page, lesson learned by lesson. So by the time we make it to page 365 the end on 2011 we will have been able to direct the story where we want it. Right now we are only on day 6, no need to get ahead of our self. 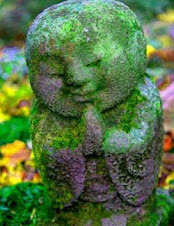 We often talk about samskaras in yoga, which are these cycles that keep appearing to us in our life over and over again and until we learn from them they will just keep on appearing. I normally use the example of dating: you can date someone who has the problem, and then the next person you date will have a similar problem maybe even amplified and this will keep happening over and over and over again until you learn your lesson. I think a lot of samskaras keep repeating themselves because we are not present as we write that part of our story, or maybe we are refusing to learn from one of the characters because we are too busy worrying or planning what will be happening three chapters from now. I think this has a big connection to yoga asana, the poses we do on our mat because we don’t just come to our mat and can do all the advanced poses. No it is this steady disciple over time, page by page, practice by practice that one day allows us to express a more refined variation of a pose. One of the words I have been thinking a lot about this year as I get busier is patience. Patience means “endurance through any situation”. It requires a great deal of patience to stay with the story page by page even when it seems boring or is full of hurt and suffering, it is endurance through anything. We can cultivate patience in our practice by having the endurance through any pose even if that means backing out of the pose and having the endurance to maintain a modified variation even when you really want to do a more advanced variation but know that it wouldn’t benefit you. I just finished my second day of massage school and I love it to pieces. I feel like i am signed up for a yoga workshop I feel so passioante and jazzed about what I am doing. Here is a awesome list of some of the amazing benefits that massage can offer broken down into physical, metal, emotional.